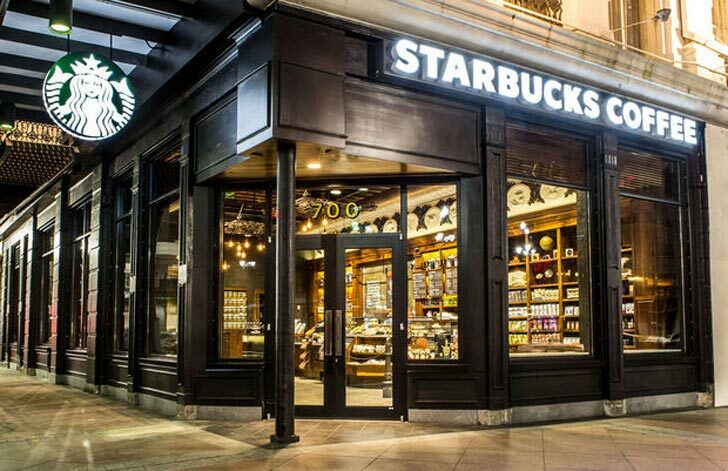 Starbucks' newest store on Canal Street in New Orleans is inspired by the city’s unique artistic spirit and its rich history as a coffee trading port. Located just beyond the historic French Quarter, the store commissioned some local artists to help decorate the interior, including Mystic Blue Signs. Keep reading to see how designers went back in time to imagine what the space might have looked like if it had belonged to a Louisianan merchant in the early 1900s. The Canal Street location’s front room, where the merchant would have worked, features floor-to-ceiling shelves behind a large coffee bar designed to resemble an old-fashioned apothecary store. Local sculptor David Borgerdingbuilt chandeliers from old wrought iron gates to honor the city’s mercantile roots. Local artist Jason Horton created paintings of coffee beans on small block canvases that are on the shelves. Cherrylion Studios worked on the 12 block paintings above the bar to showcase the story of coffee from bean to cup. All of this is completed by stunning hand painted gold leaf signs on the store windows and coffee jars created by Mystic Blue Signs. The back room of the store was designed to look like the merchant’s living space, offering a much more relaxed atmosphere. Vintage schoolhouse chairs around huge tables made from wind-fallen trees offer customers a comfortable place to work and socialize. 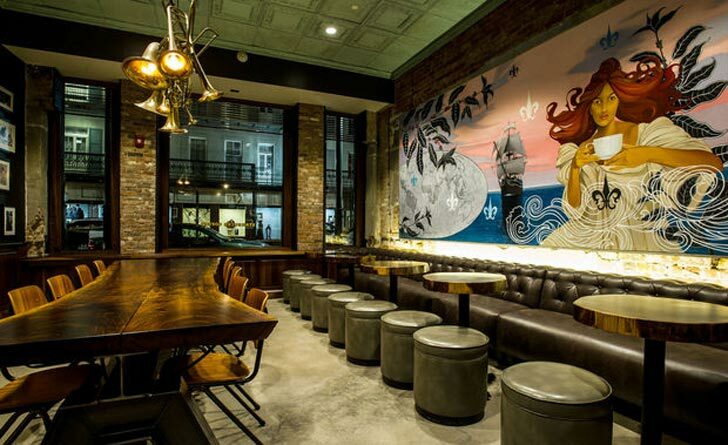 It also features a large mural created by the artist Tommy Taylor, which references the New Orleans’ shipping heritage. The new branch features a large mural, which references the city's shipping heritage, created by the artist Tommy Taylor. The back room of the store was designed to look like the merchant’s living space, offering a much more relaxed atmosphere. The front room, where the merchant would have worked, features floor-to-ceiling shelves behind a large coffee bar designed to resemble an old-fashioned apothecary store. Scattered around the store are also paintings from the artist Jason Horton, who documents the story of coffee from bean to cup. The back room was designed to look like the merchant’s living space, offering a much more relaxed atmosphere. Vintage schoolhouse chairs around huge tables made from wind-fallen trees offer customers a comfortable place to work and socialize. Local sculptor David Borgerding built chandeliers from old wrought iron gates to honor the city’s mercantile roots.